We went to Toyota today to look at the Highlander. After doing our research we felt it best suited our needs. We were upfront with the sales person and he insisted we needed a 4Runner to meet our needs. Before we test drove the car I was honest that I felt the sticker price would be too high for our budget yet he had us test drive it despite my insistance that we wanted to try the Highlander. 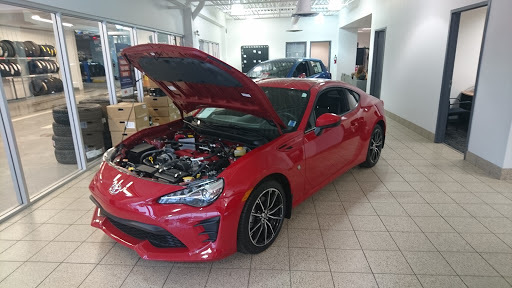 In the end although we liked the 4Runner it was more then $100 a month out of our budget and the trade in offer on our current SUV was lower then any other dealership we looked at including another MacDonald dealership. We still didnt get to test drive the Highlander which is what we went in to look at! I left feeling like we wasted close to two hours of our time. We wont be returning. Got the work done quickly. Quoted a price and stuck to it.